When the biggest ever World Health Assembly (WHA) of the World Health Organization (WHO) meets in Geneva May 18–26, it will face a pivotal challenge: how to address the next big epidemic. “Ebola is now a wake up call. The question is, will the world hit the snooze button?” said Josh Michaud, associate director of the Global Health Policy team at the Kaiser Family Foundation. Ebola is the latest emerging threat to world health, but it is not alone. The H1N1 strain of avian flu created a global pandemic in 2009. Polio, once nearly eliminated, is holding on, and the World Health Organization declared it an international threat in 2014. SARS and MERS are still around. Any of them could morph into a modern plague. But if people prepare, much suffering can be prevented, according to Lawrence O. Gostin, JD, faculty director of the O’Neill Institute for National and Global Health Law at Georgetown University Law Center. “Ebola taught us two fundamental lessons,” said Gostin. The first lesson is that the world is unprepared for a global pandemic. Such a pandemic could be SARS, or MERS, or a crisis about antimicrobial resistance. The second is that in the case of Ebola the world did not respond quickly or decisively to a crisis in poor countries. Ebola spread because of that slow response. “The WHO we had was not the WHO we needed,” said Jimmy Kolker, assistant secretary for global affairs with Health and Human Services. He said WHO must “arrange for surge capacity,” to have people and money ready for the next emergency. “If WHO does not respond now it could lose the world’s confidence,” said Gostin. When the 3,000 delegates meet at the WHA, what they decide will be pivotal, according to Gostin. The WHA is the decision-making body of WHO. Delegations come from all WHO Member States, according to the WHO website. Gostin believes the world’s response to health crises should be “under WHO auspices, because it has legitimacy.” But WHO needs a better, clearer relationship with nonstate actors, like nonprofits and corporations. It was hard to know who was in charge of what, during the Ebola crisis, according to Gostin. How much money will pay for health crisis responses and where will it come from? It won’t work for WHO to take the money from its regular operating budget, which is smaller than that of some U.S. hospitals. Gostin wants dedicated crisis funds and people trained and ready just to respond to global epidemics. Will funding be tied to a reform of international health regulations? Defining different levels of emergencies might allow WHO to mobilize sooner in the next outbreak. Every country needs a robust, resilient health care system. 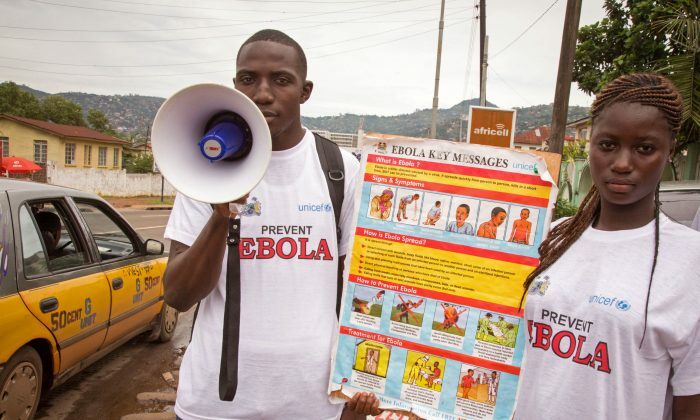 “Drawing on the lessons of Ebola, we propose a global health framework with robust national health systems at its foundation and an empowered WHO at its apex, well coordinated funding and actions from many parties, effective legal methods to establish clear accountability, and shared responsibility,” wrote Gostin and his colleague Eric A Friedman, J.D. The Juris Doctor (J.D.) is a professional doctorate and first professional graduate degree in law. Mary Silver lives and works in Atlanta.